The Canadian DJ has teamed up with Neff Headwear to create the Neffmau5 collection, including T-shirts, hats and hoodies, Billboard.com reported. 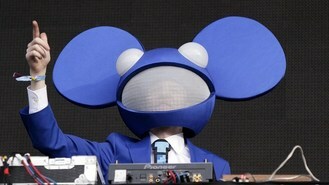 The clothing line will feature a combination of Deadmau5's iconic mau5head and Neff's Suckerface design. Deadmau5 said: "I love the street and snowboard scene. "The people involved are the people I see at my shows, so it made sense to hook up with a cool company like Neff to work on a collaboration. Plus it was easy to put ears on the Neff face for an instantly legit logo, right?" The new fashion collection is the first instalment of a two-year creative collaboration between the rapper and the clothing company. Shaun Neff, the brand's founder and CEO, said: "We think Neffmau5 perfectly expressed the combined energy of our two brands and we hope a new army of new consumers will agree."